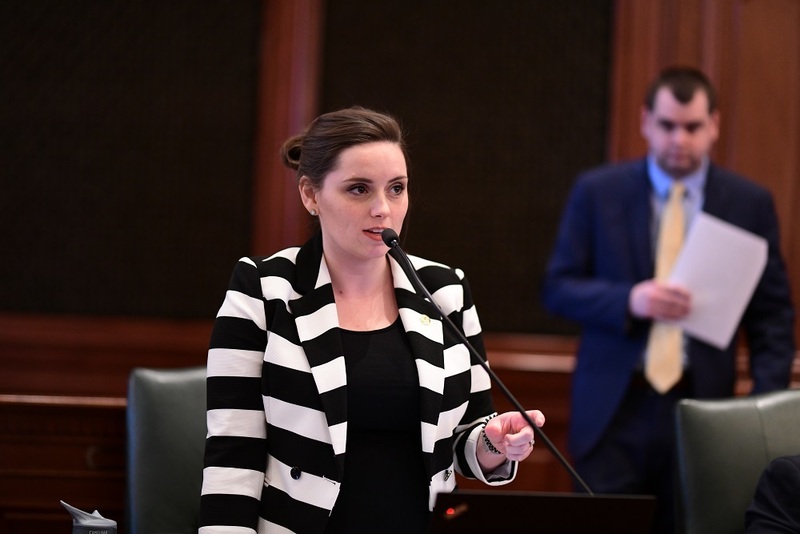 House Bill 2263 and House Bill 3086 were sponsored by Rep. Camille Y. Lilly (D-Oak Park). House Bill 2263 passed with 69 Yes votes and 39 No votes. House Bill 3086 passed with 68 Yes votes and 39 No votes. Bourne questioned if House Bill 2263, which provides students with work-ethic instruction, was another curriculum mandate. Lilly said it was adding onto an existing mandate. "I think it’s important that this is taught and I think it’s already being done," Bourne said. "If it’s not, we believe it’s another mandate to include in the curriculum. It’s important that we teach this, but not this way. Please vote No." House Bill 2263 amends the Postsecondary and Workforce Readiness Act. It provides that students should be introduced to the importance of developing and applying a work ethic in a variety of contexts starting in the sixth grade. House Bill 3086 deals with anger management classes. It amends the school code to provide that a school board shall require its schools to either connect at-risk students with anger management classes offered in the community or conduct their own anger management classes for those students. It is effective immediately upon passage but classes don't have to be implemented until the 2021-22 school year. "This provides resources dealing with behavior and anger management in school," Lilly said. Bourne said it was another unnecessary mandate. "To the bill, this is another mandate," Bourne said. "You’re hitting some important topics, but again, our schools already have a lot that they’re required to teach and I would ask colleagues to please vote No." Both bills are scheduled for first reading in the Senate on April 30. Senate sponsors are not listed for the bills yet.